Assessment is messy. Day-to-day, in-the-moment assessments not only reveal information that drives future instruction but also offer a comprehensive picture of students' abilities and dispositions toward learning. As teachers, we might know what this looks and feels like, yet it can be hard to put into action—hence the messiness. 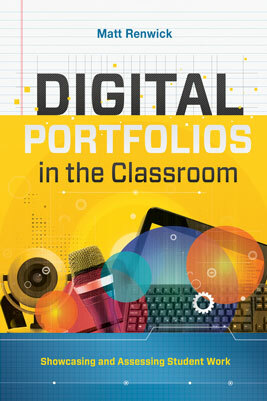 Matt Renwick's Digital Portfolios in the Classroom is a guide to help teachers sort through, capture, and make sense of the messiness associated with assessment. By shining a spotlight on three types of student portfolios—performance, process, and progress—and how they can be used to assess student work, Renwick helps educators navigate the maze of digital tools and implement the results to drive instruction. Matt Renwick is an elementary principal in Mineral Point, Wisconsin. He has authored many books and articles, and posts frequently on his collaborative blog for literacy leaders, Reading by Example.